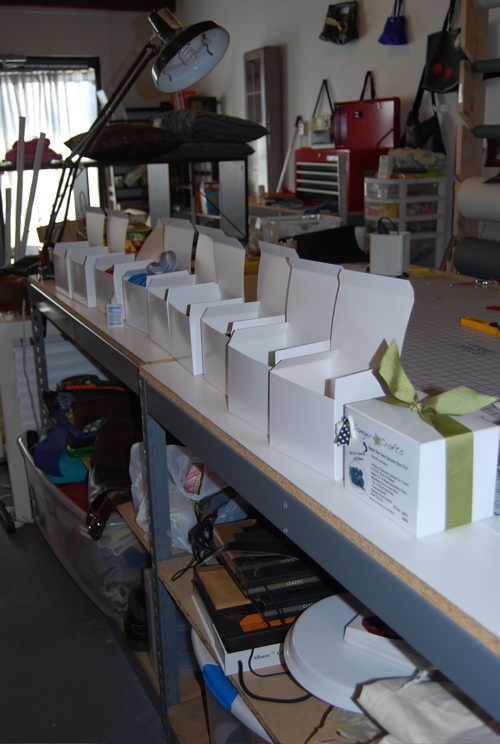 Line of boxes on my big cutting table. What for? 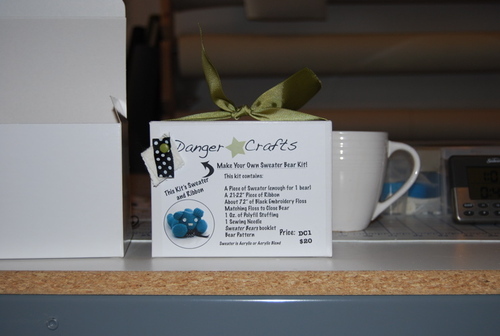 Why kits of course! These came out SO cute! I am very happy with them. Other than I only had enough stuffing to finish 3 , and then only enough colors of embroidery floss to finish one. So, there is one ready to be sold, and I have been working for the last 5 hours to finally get that one listed on etsy. But it’s there, I’m done for the day, and I will be stopping at the fabric store on the way home for more floss and stuffing to finish the other 9 tomorrow. Alright, one patternbook/kit down, I am off to start on Patternbook No. 2! Go productiveness!